Long, sliding backband with open shaft tugs. 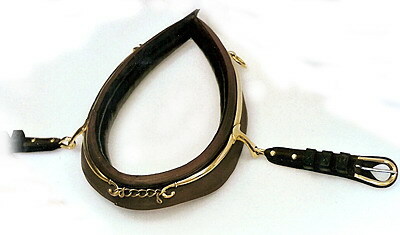 Short, sliding backband with French shaft tugs. False martingale and standing martingale. 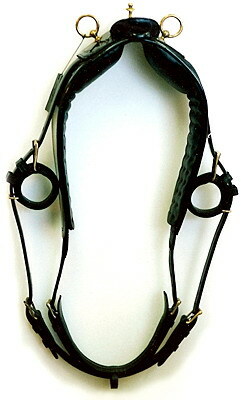 Full breeching and kicking strap with tugs. 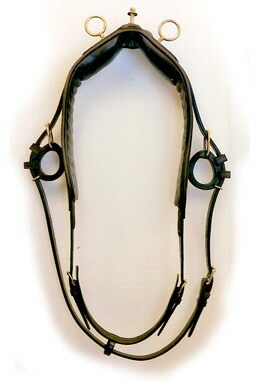 Full bridle with bradoon cheeks, 2 bits and simple bearing rein. Straps are raised and four row stitched.